I’ve always been inspired by the tragic love story, the story of great love that just can’t be. My favourite book The Bridges of Madison County stayed with me years after reading it and played on my mind. Then I read Twilight and out of nowhere I had to write my own book. Before this I had never entertained the idea of writing. But the longing in Twilight and the knowing that the one you love is the one that is dangerous for you resonated with me and I just had to write about that. So with the themes of desire and danger, I wrote a book about a married mother, because I wanted to write of what I know. I wanted to bring the great love story into the world of the typical suburban mum who is chasing after kids, working and running a home. I wanted her to have that Romeo and Juliet moment. So I wrote ‘Love at First Flight’. The main characters are Mel, Adam and Matt. Mel you’ll love because she’s so easily be related to as she struggles with her own identity and self discovery. She’s fragile and tortured and trying to be a good mum and a good wife while she battles with that she really wants. Adam, Mel’s husband, is loveable because he’s just an all round great Aussie guy. He’s sweet and caring and funny and loyal and the sort of man that makes you feel secure and protected. Matt, the man who steals Mel’s heart, you’ll love because of his passion and the way he wears his heart on his sleeve. His heartache is there for all to see. For you what’s the best thing about Fridays? That it’s my date day with my husband! We both have Friday afternoons off, so during school term, every Friday we meet up and go have and lunch together and catch up with each other without the kids and then we go together to pick them up from school. These stolen two hours with my husband, whether it be in a café or sitting with a sandwich at our local beach in Perth, are the highlight of my week because the only other time we get alone is late at night when the teenagers are in bed and by then we are too exhausted to talk anyway! I’m in the middle of a huge blog tour at the moment, trying to get lots of attention for Love at First Flight, but as soon as that’s done I’m just about to knuckle down and get on with my second book, Flat White with One. It’s another love story and I’m very excited about it. I also have my day job as a physiotherapist to keep me busy, including the three physiotherapy clinics I own and manage, and of course being a PA to the kids! 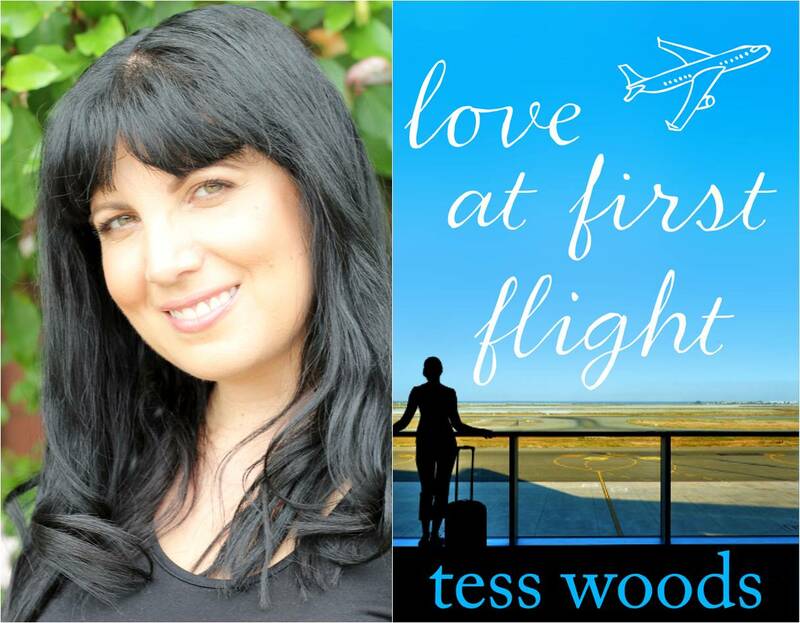 Tess Woods is a health professional who lives in Perth, Australia with one husband, two children, one dog and one cat who rules over all of them. Love at First Flight is her first novel. When she isn’t working or being a personal assistant to her kids, Tess enjoys reading and all kinds of grannyish pleasures like knitting, baking, drinking tea, watching Downton Abbey and tending to the veggie patch.